We have had quite the manic Monday today trying to get a large event order underway, so our kitchen is busy this morning. Let’s not forget though, Mondays are always a little sweeter when we mention our munchie of the month! 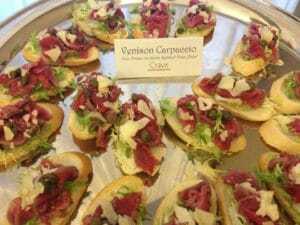 This month we wanted to feature a passed appetizer that we have received great reviews on. 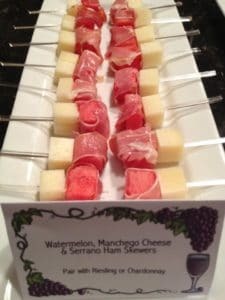 Our skewers are the perfect balance of salty and sweet, with serrano ham delicately wrapped around watermelon and placed next to a cube of manchego cheese. These apps would pair well with a nice Reisling or a Chardonnay. Happy Monday everyone! 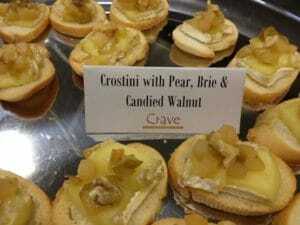 Here at Crave, we take our Mondays in stride by providing a dish we have served in the past. We love celebrating jovial food holidays, and were recently informed that June 11th is National Corn on the Cob Day. Corn is such a staple part of the American diet, we love how versatile of a vegetable it is. Whether you add them to crawfish boils down south, add them to casseroles with lots of gooey cheese or simply grill them up on a summer day, they can add a crunchy element to your meals. Below we have corn on the cob with broiled asparagus seasoned in a variety of spices as a side dish. We hope everyone has a great Munchie Monday! Donuts. Mini-donuts. Powdered. Sugar. Chocolate with Sprinkles. Maple. Strawberry with coconut flakes. The endless combinations make our sweet tooth quiver. 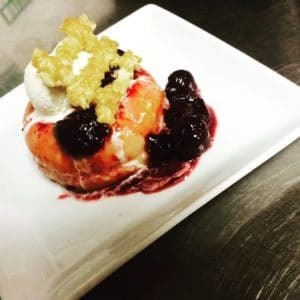 Well on this glorious Munchie Monday we wanted to feature our newest dessert, the donut flambe. Essentially, we lit the thing on fire! Setting up this dessert station was so fun, where guests got to choose from various toppings from fruit, chocolates, caramels and a variety of ice cream flavors. This one is topped with cherries jubilee, pie lattice and vanilla ice cream. All we know is that Homer Simpson would have fainted from sheer excitement. Munchie Monday: Mini Treats for March! 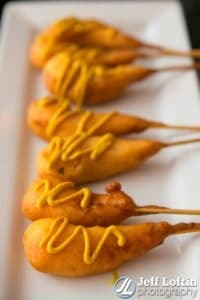 This month’s munchie is a unique twist on a rather kid friendly food- the corn dog. Not only are these treats on a stick simple to hand out as passed appetizers, you can have quite the variety as well. Our Crave corn dogs are filled with shrimp and finished off with a blueberry compote mustard. Thank you Jeff Loftin for the great picture! Happy Monday fellow Cravers! Today we wanted to spotlight an appetizer that gives us a little sneak peak into spring. We take creamy brie cheese ontop of a wonderfully toasted slice of baguette and finish it off with roasted pears and candied walnuts. Yum! With a new year comes a whole-lotta new Munchie Mondays! We hope everyone sticks to their new year’s resolutions but if that means no pulled pork we have some pretty bad news. 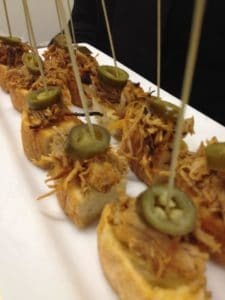 Today we are featuring our pulled pork tapas that have been slow cooked in southern spices and topped with a pickled jalapeno. The pepper adds that fiery kick to the bite sized tapa which reminds us that we’re in cowboy country. One of our favorite days of the week is here, if only for the sole reason of sharing our monthly munchie with you! Today’s Waldorf Salad is such a treat, as the combination of grapes, apples, celery and walnuts with mayo or yogurt is so crisp. 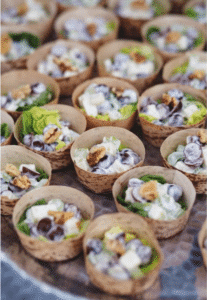 Separated into individual bamboo bowls, this particular recipe was made with mayonnaise, although yogurt is a great alternative. Another Munchie Monday is upon us and we’ve got a warm and cozy appetizer for everyone this month. We’re finally beginning to see some of that cold fall weather and have seen Austinites pull out their scarves, hats and gloves to prepare for our first cold front! This monday we are featuring our hearty polenta cakes, made from a creamy polenta right from our saucepans here at Crave Catering. We decided to top this italian comfort food delicacy with some medditeranean vegetables. Sauteed zuchinni slices, eggplant and mushrooms were piled ontop and drizzled with a peppery Romesco sauce. For those who aren’t sure what that sauce is, we’ll tell you a bit about it! Romesco is a Catalonian style sauce made primarily from nuts and red bell peppers. It is typically made from any mixture containing roasted or raw almonds, pine nuts, garlic, olive oil and bell peppers. We love our yummy grilled polenta cakes! Today’s munchie is a perfect side salad or pre-course to any meal. Our citrus salad leaves the palate refreshed and ready for the main course. 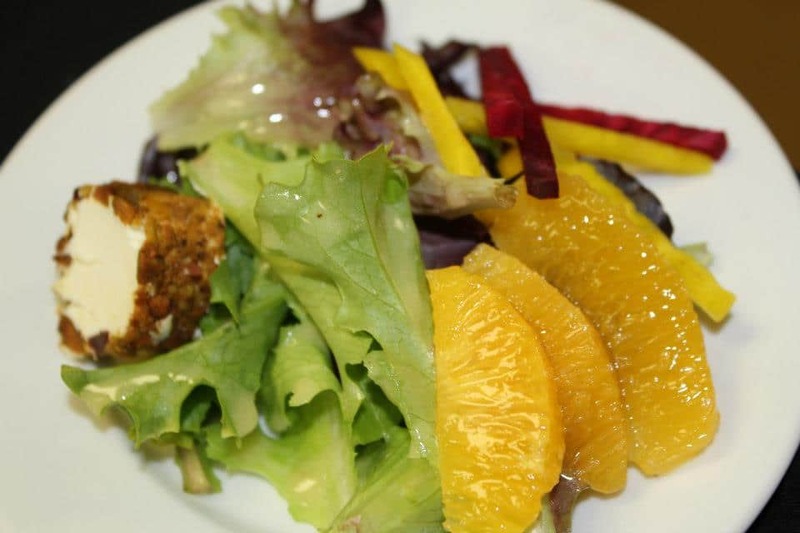 It is served with orange segments, earthy gold or red beets and our own special citrus vinaigrette. Toped with a bread seasoning crusted goat cheese cube, this salad is hard to beat.